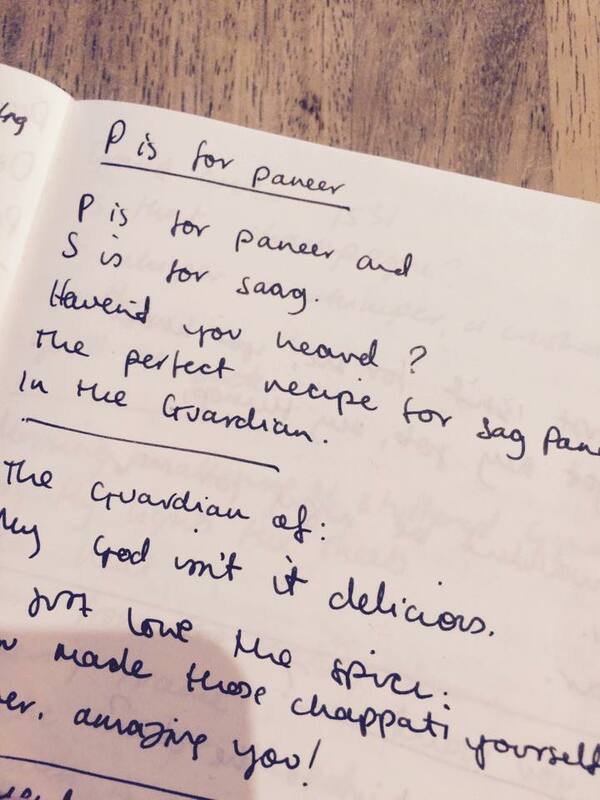 The perfect recipe for sag paneer is in The Guardian. My god isn’t it delicious? I just love the spice.